Beauty blossoms in Angelina ring. Hand-painted with neutral-colored French enamel, the flower petals of this sensational ring are sprinkled with sparkling Austrian crystals. A lustrous glass pearl is nestled in the center. 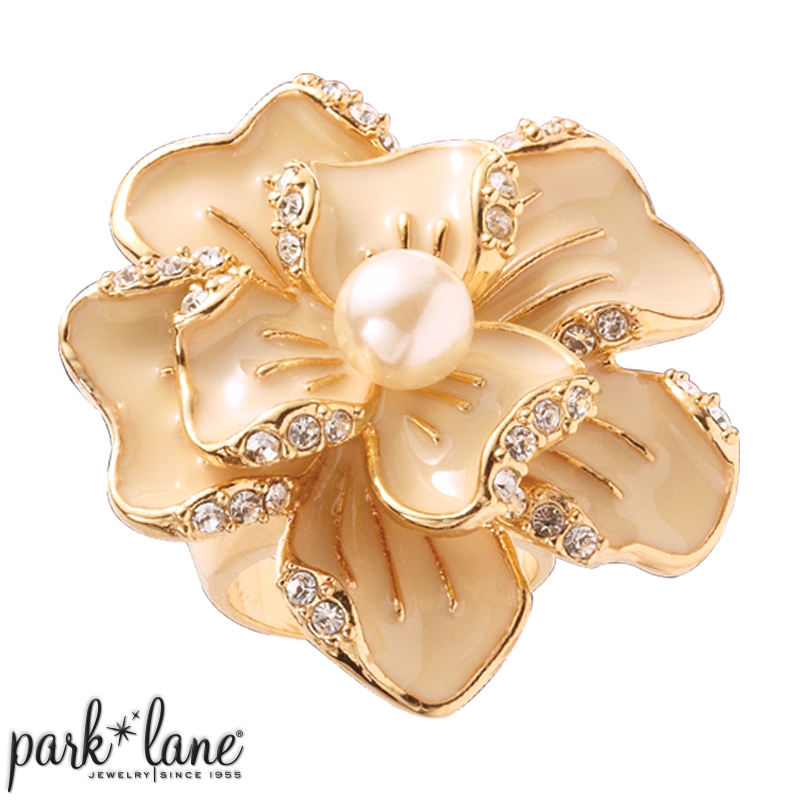 A show-stopper ring with flower power... Angelina. Ring is available in sizes 5 to 10.